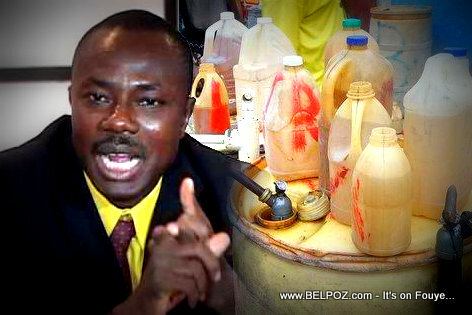 According to Haitian Journalist Esau César, some ill-intentioned individual who wants nothing more than to create chaos in Haiti released false information that gas prices went up at the pump Thursday, "epi sa w tande a, DEBLOZAY," the journalist said. While gas prices has been rising in other parts of the world, prices in Haiti has remained the same at the expense of the Haitian government who is subsidizing it and this decision is digging a big hole in the government's pockets. Jounalist Esau César said: "When somebody goes around social media broadcasting this campaign of disinformation, you are killing the country." The man speaks as though he knows who did it. They should have seen that coming to try an destroy the President.